Thawing Glaciers comes into play tapped. 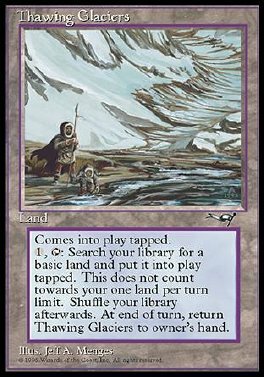 1, T Search your library for a basic land card, put that card into play tapped, then shuffle your library. Thawing Glaciers gains substance until end of turn. Return Thawing Glaciers to its owner's hand when it loses substance.